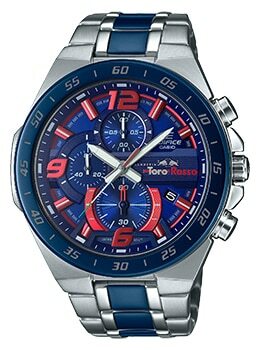 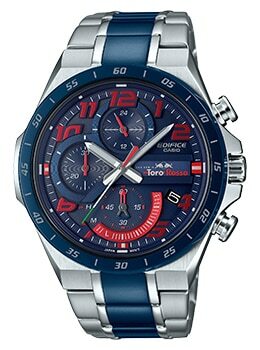 The new ECB-900TR-2A, EQS-920TR-2A, and EFR-564TR-2A boast color schemes that adopt the red, blue, and silver colors of the Scuderia Toro Rosso racing machines. 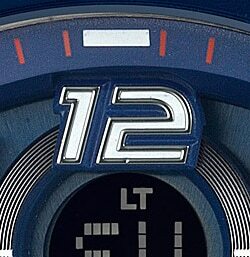 The overall design of the watches is inspired by the worldview of motorsports, with special touches such as rendering the hour indexes in a typeface that resembles team car numbers. 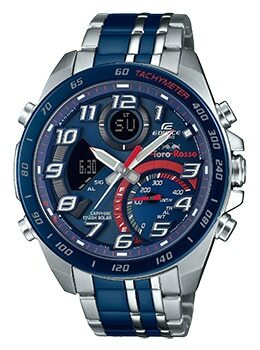 The dial and back case feature the team logo, while the second hand is decorated with the colors of the flag of Italy, where the team is based. 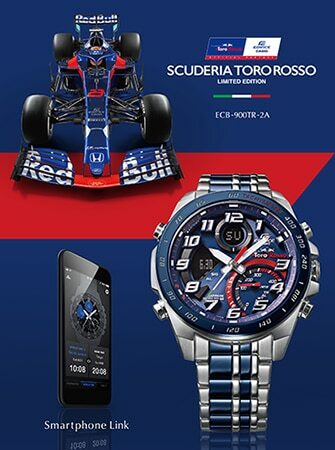 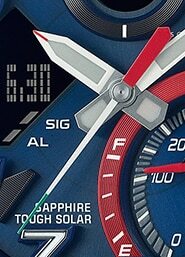 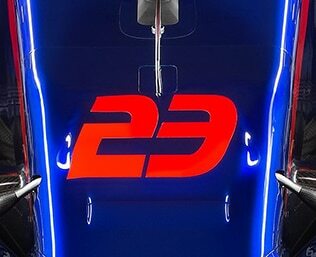 These details add up to designs truly worthy of collaboration models with the Scuderia Toro Rosso team. 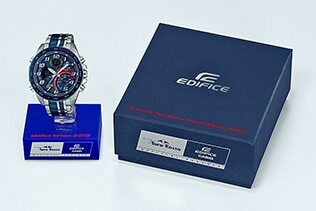 The watches also come with special packaging.